PRC2, which catalyzes dimethylation and trimethylation of H3K27 (H3K27me2/3) via the histone methyltransferase (HMT) EZH1/2. 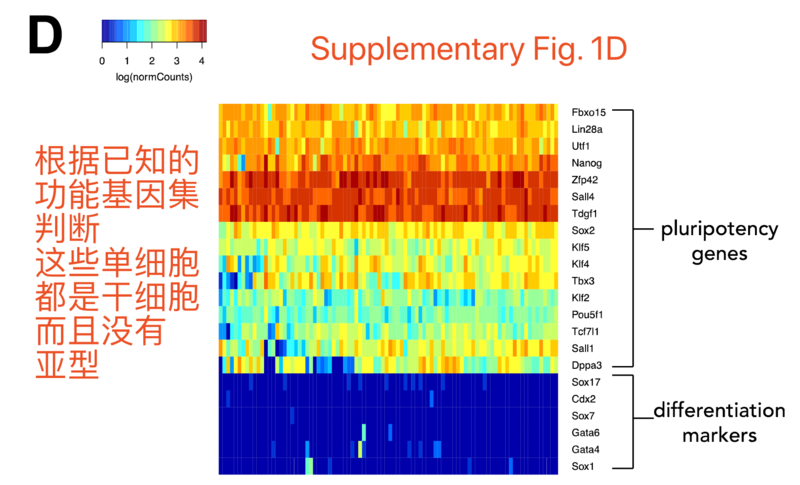 Phosphorylation of S5 residues (S5p) correlates with initiation, capping, and H3K4 HMT recruitment. S2 phosphorylation (S2p) correlates with elongation, splicing, polyadenylation, and H3K36 HMT recruitment. Phosphorylation of RNAPII on S5, but not on S2, is associated with Polycomb repression and poised transcription factories, while active factories are associated with phosphorylation on both residues. S7 phosphorylation (S7p) marks the transition between S5p and S2p, but its mechanistic role is unclear presently. (2) the percentage of reads mapping to mitochondrial-encoded RNAs was higher than 10%. confounding expression heterogeneity due to biological processes such as the cell cycle. (3) “PRCr” genes (n = 954) have both PRC marks (H3K27me3 and H2Aub1), unproductive RNAPII (S5p only and not recognized by antibody 8WG16) and not expressed in bulk mRNA data by Brookes et al. (bulk mRNA FPKM <1). 参考文献是：Brookes, E. et al. Polycomb associates genome-wide with a specific RNA polymerase II variant, and regulates metabolic genes in ESCs. Cell Stem Cell 10, 157–170 (2012). 参考文献是：Kolodziejczyk, A. A. et al. Single cell RNA-sequencing of pluripotent states unlocks modular transcriptional variation. Cell Stem Cell 17, 471–485 (2015). 有一个公共数据：GOTHiC (Genome Organization Through Hi-C) Bioconductor package . 参考文献：Schoenfelder, S. et al. 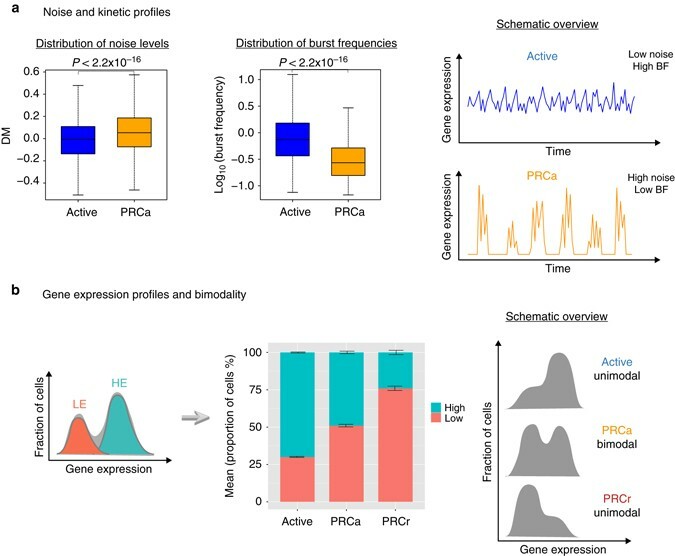 Polycomb repressive complex PRC1 spatially constrains the mouse embryonic stem cell genome. Nat. Genet. 47, 1179–1186 (2015). Genes were defined as positive for H3K9me3 at their promoter or gene body when an enriched region was overlapping with a 2 kb window around the TSS or between the TSS and TES, respectively. Gene expression variation can be quantified by CV or DM, which is a measure of noise independent of gene expression levels and gene length. 首先计算 a mean corrected residual of variation by calculating the difference between the observed squared CV (log10-transformed) of a gene and its expected squared CV. 根据 DM排序后可以来定义： top 20% as “noisy” genes and the bottom 20% as “stable” genes. The expected squared CV or the expected residual was approximated by using a running median. Removing cell cycle variation and technical noise allowed us to focus on stochastic gene expression.